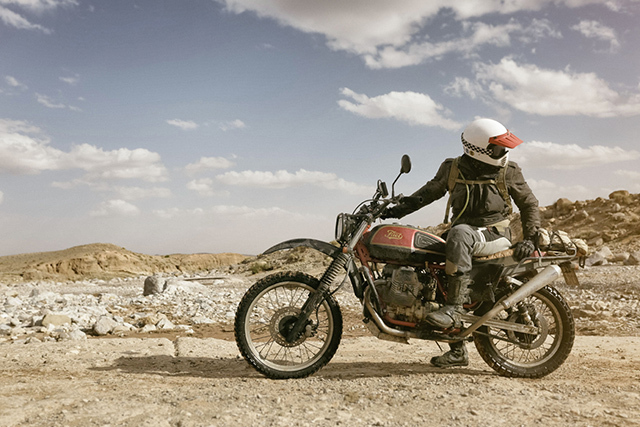 Scram Africa is like no other motorcycle ride on the planet. It’s a 2500km trip along some of the most epic roads, trails and sand dunes through the south of Morocco and across the Altas mountains. To make it even more challenging, the ride is only for classic and neoclassic enduro bikes and scramblers. Scram is the brainchild of Karles from Fuel motorcycles in Spain, he wanted to build a classic looking bike that could handle the tough terrain for the recent 2016 ride. This time though, his choice of donor bike wasn’t one of the usual suspects. 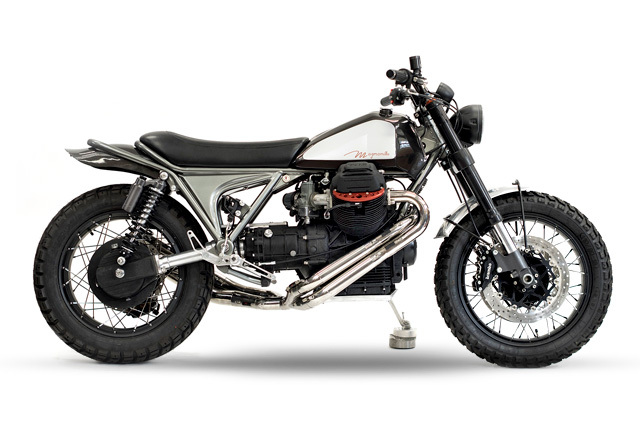 Turns out in the 80s, Guzzi saw the success of the BMW R80G/S in the Dakar races, and decided to have a shot at building their own enduro bike. 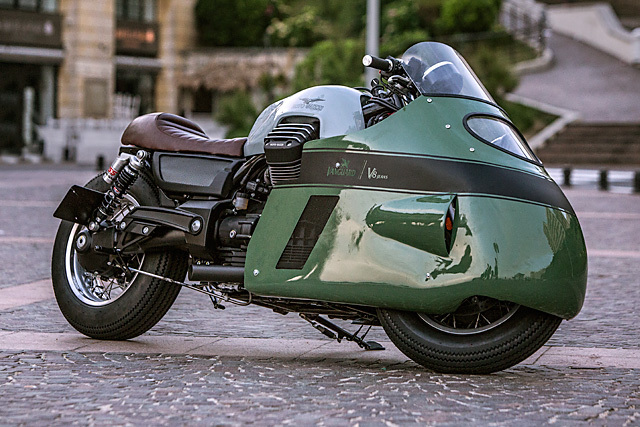 What they created was the Moto Guzzi V65 Tutto Terreno – a plastic coated machine that fit so well into the time period that it didn’t make much of an impression outside of it. Until now. Karles decided the V65 TT would make a good choice, albeit with a flavour of his own. Pedigree and history. They are two buzz words that are often thrown around by marketing departments to sell a new model of a motorcycle that shares perhaps a single bolt with the racing machine that actually earned those titles of honour and respect. 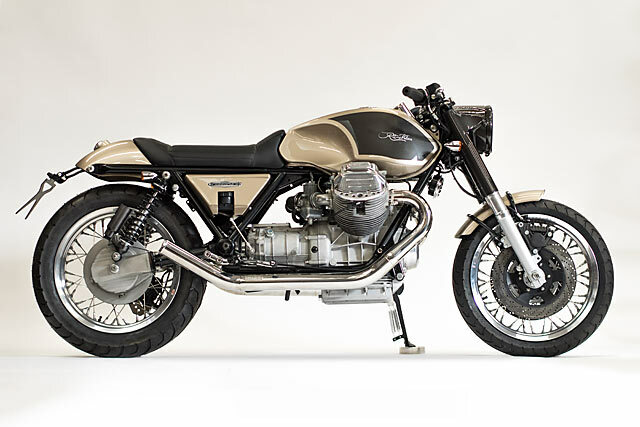 But when it comes to Moto Guzzi, they have always remained a company that didn’t need to play with words to sell their bikes; they sell themselves by maintaining the pure essence of 95 years of creation and the sort of respect that comes from dominating motor racing whenever the factory rolled out the big guns. 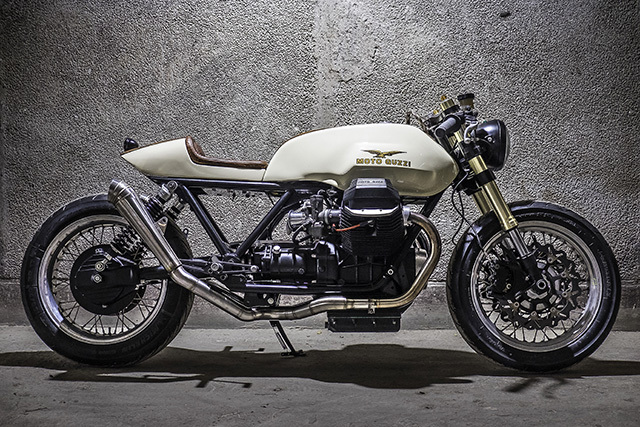 Always looking to reward their fans, whose loyalty is never questioned, the owners of Guzzi decided to team up with one of their very best service partners to create a little something special. 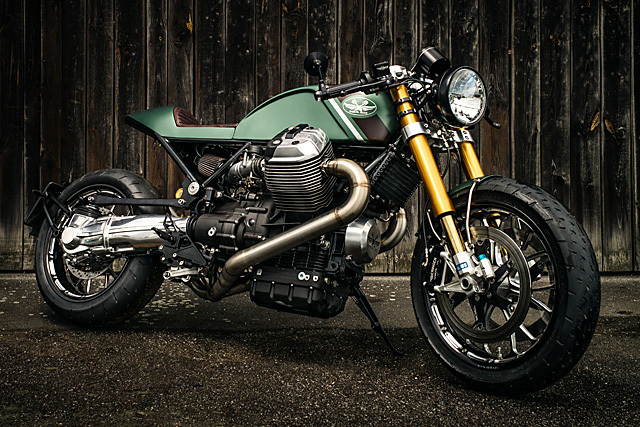 From Radical Guzzi in Germany, here’s a whole lot of heritage and horsepower in one stand-out package – the project MGR 1200. Humans have been living with earthquakes since time immemorial. And seeing as though 21st Century technology is only just beginning to understand them, you can probably understand why pretty much every culture on earth has their own ancient explanation as to what causes them. According to ancient Japanese mythology, earthquakes were cause by a giant underground catfish named ‘Namazu’. And in Siberia, they believed quakes were caused by the giant mythical sled dogs that pulled the earth stopping to scratch. And while the Romans believed that their god Neptune caused earthquakes, their very cool name for them – ‘Terremoto’ or ‘Earth Mover’ – just happens to be the moto-esque name of today’s feature bike. 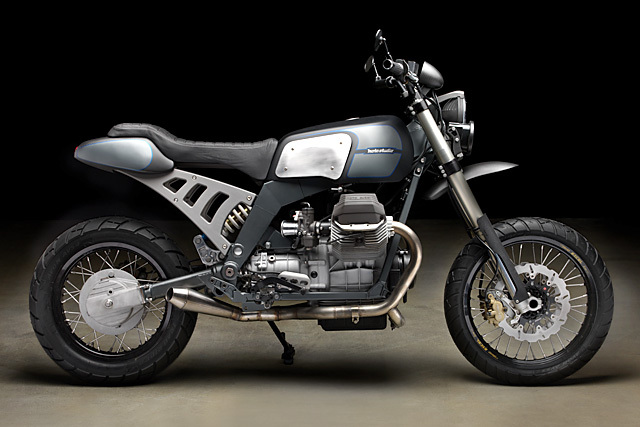 It’s a killer Moto Guzzi from Miami’s Moto Studio, and if you’re into scramblers we’re pretty sure it will rock your world. There’s precious few motorcycles that manage to make it all the way to the top. And I’m not talking about the top of sales, races or popular culture. I’m talking about bikes that obtain something altogether more legendary. 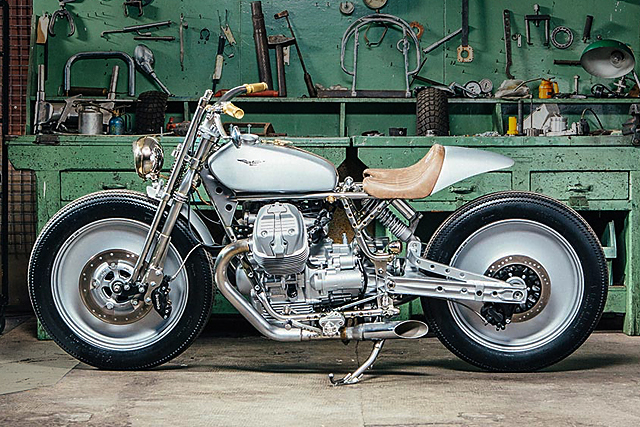 Bikes that are spoken about in hushed tones. Bikes that they build museums to house. The bikes that changed motorcycling. Burt Munroe’s Indian was one. The Brough Superior is another. And without a shadow of a doubt, Giulio Cesare Carcano’s 1955 Moto Guzzi, aka ‘The Otto’ can take its seat at the table, too. Ahead of its time and earning a reputation as a widow-maker, the bike’s moment in the limelight was to be short-lived. But with this injustice squarely in their sights Amsterdam’s Numbnut Motorcycles, in conjunction with Gannet Design in Switzerland and Vanguard Clothing decided it was time for the legend to make a comeback. Growing up in the ’80s with a two-wheeled obsessed neighbour I’d often sit on his living room floor flipping through a giant book, the Encyclopaedia of Motorcycles. 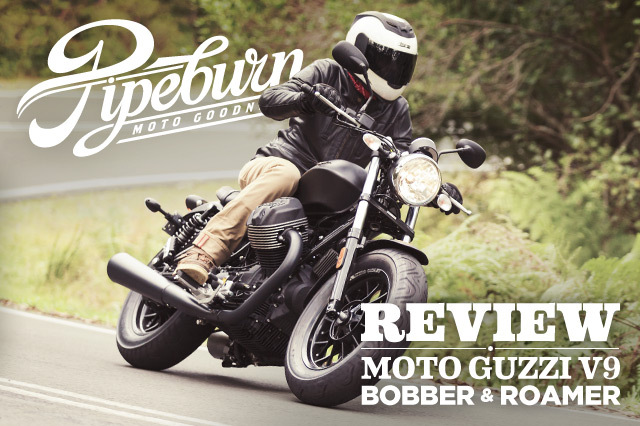 He’d encourage me to read up on BMW, ignore the “Jap Crap” and when I got to the Moto Guzzi section he’d wax lyrical as if talking about the most amazing thing on the planet. 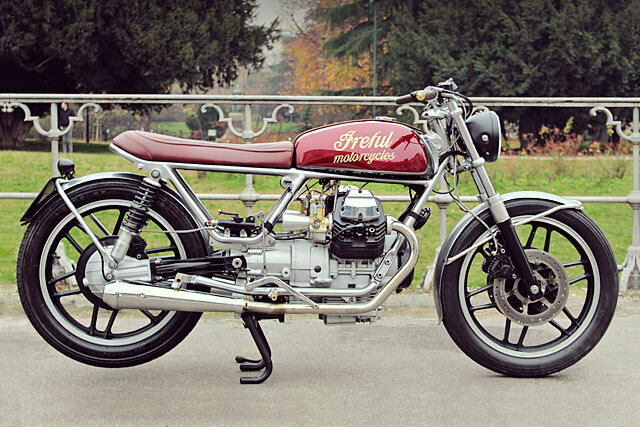 It’s easy to understand why, up until that point Guzzi had been the big daddy of the Italian Motorcycle world with production peaking in 1973 at some 50,000 units. But by the ’90s it was as low as 3,000, the mystique had been lost and most had never even heard of the marque. Now with Guzzi back in full flight many are taking the opportunity to restore the bikes of the dark days to the full glory they deserve and very few have done as good a job as Michael with this creamy smooth 1984 Moto Guzzi SPII.